What are the Effective, Natural Alternatives to Antidepressants? 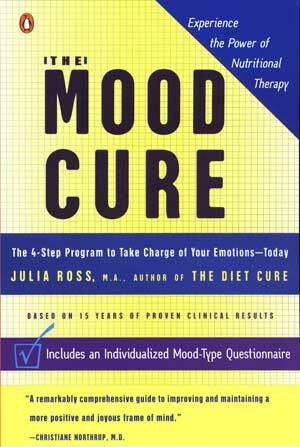 The Mood Cure‘s chapter eleven, on alternatives to antidepressants, and its chapter three, on raising serotonin levels, are both essential reading for anyone looking for options to antidepressant drugs. Here is a section from chapter eleven that will introduce you to the serotonin-fueling nutrients. How Well Do Natural Serotonin Boosters Perform Compared with the SSRIs? Tryptophan Between 50 and 60 percent of former SSRI takers relapse into depression, OCD, SAD, PMS, insomnia, bulimia, aggression, addiction, anxiety and panic unless adequate tryptophan is made available. St. John’s wort has tested just as effective for depression relief as Prozac and more effective than Zoloft. Exercise alone can raise serotonin levels nicely. A 90-minute walk can increase levels by 100 %. A daily 40-minute walk prevents relapse into depression (after a successful round of SSRI taking) twice as well as does taking Zoloft. In all the studies, the benefits of the natural approaches took effect more quickly than the benefits of the SSRIs and proved much safer. For example, 5-HTP, is associated with 0% sexual dysfunction, while the SSRIs are associated with 50-70% sexual dysfunction. In several studies both St. John’s wort and 5-HTP have had fewer side effects than the placebos! This kind of research supports our clinic’s experience of 15 years that natural methods can easily meet or exceed the benefits of SSRIs for many, perhaps most, people. Probably because our clients combine 5-HTP, tryptophan, Saint-John’s wort with so many other serotonin-supportive supplements and foods, plus light and exercise plus any needed counseling or medical care, they typically do much better off SSRI’s than on them. And so should you. But, largely because patented pharmaceuticals are so much more lucrative as investments, there’s been much less interest in promoting non-patentable nutrients, despite their safety and effectiveness. If natural antidepressant brain foods work so well, why aren’t we just using them in the first place, instead of the drugs? It’s an interesting story. Prior to 1989, although Prozac had been introduced with much fanfare, its pharmaceutical reps couldn’t persuade the country’s M.D.s to use it. Why? Because they were already sold on something else-the amino acid tryptophan from which serotonin is made in the brain. Psychiatrists and other physicians resisted Prozac’s lures, since over-the-counter tryptophan supplements were providing successful antidepressant and sleep aid with virtually no side effects. One of our medical consultants tells the story of how she finally agreed to try a tiny, 10 mg., dose of Prozac. The rep had insisted that a little Prozac could be useful “…just to make the tryptophan work better.” And it did. At higher doses, a small trial of Prozac showed that combining it with tryptophan caused mild adverse reactions in five subjects. Hardly alarming. Especially when we consider the millions who’ve had adverse reactions to SSRIs alone. In fact, a Canadian study found that 20 mg of Prozac combined with 2-4 grams of tryptophan speeded up antidepressant benefits and preserved the deep, or slow-wave, sleep that Prozac alone tends to disrupt. And without any evidence of the excess serotonin syndrome! In the U.K., standard psychiatric practice includes the addition of tryptophan when SSRIs or other antidepressants don’t work well alone. Into this happy scene, one day in 1989, came a very badly contaminated batch of tryptophan. The guilty Japanese amino acid manufacturer admitted later, in court, that it had knowingly sent it to the United States. It did enough damage (including killing over forty people) to terrify users and physicians all over the United States, prompt the FDA to call for a voluntary ban on sales, and create a huge new market for Prozac, which appeared on the cover of Newsweek magazine the next week. The Japanese company at fault, Showa Denko, never made another batch of tryptophan, but, because of their “error,” the other tryptophan-producing companies, with unblemished records, lost their U.S. markets. More important, millions of Americans and their doctors lost an irreplaceable resource for depression and insomnia relief. In 1991, Prozac’s U.S. manufacturer, Eli Lilly, published a study exonerating tryptophan and acknowledging its benefits. But few doctors saw it and their fears persisted. Yet in other countries, like the U.K., Canada and, Finland tryptophan sales and research never stopped, and no problems ever recurred. In fact, in these countries, there has been much successful research on the use of tryptophan to treat the really tough “resistant” cases of depression and scientific conferences on tryptophan research are held in Europe on a regular basis. There is some very good news though. In 1995, tryptophan became available again in the U.S., by prescription from specialized compounding pharmacies. It was finally also made available without prescription in 2000. It is now available in many health stores and on-line! 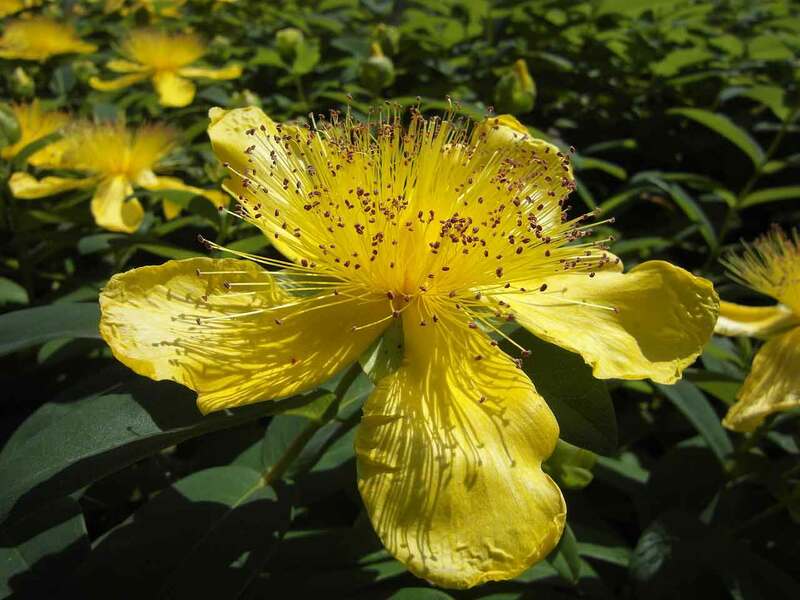 What About 5-HTP and St. John’s Wort?